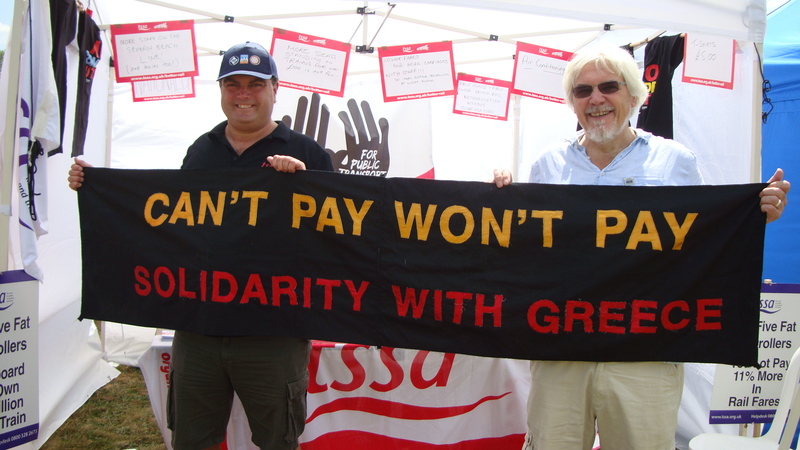 Friends and supporters of the Greece Solidarity Campaign can make a donation to the Campaign. Regular donations are very helpful to keep the Campaign going. Print off the Donation Membership form here: Standing order GSC . Send it to the Greece Solidarity Campaign, Housman’s Bookshop, 5 Caledonian Road, London, N1 9DX. All funds donated to GSC are used to cover campaigning expenses – eg. printing of publicity materials, website costs, room hire, all expenses for running Medical Aid for Greece. Donations in response to specific solidarity appeals eg. to the women cleaners are ofcourse passed on to those who are the focus of the solidarity appeal. The Greece Solidarity Campaign is run by volunteers. 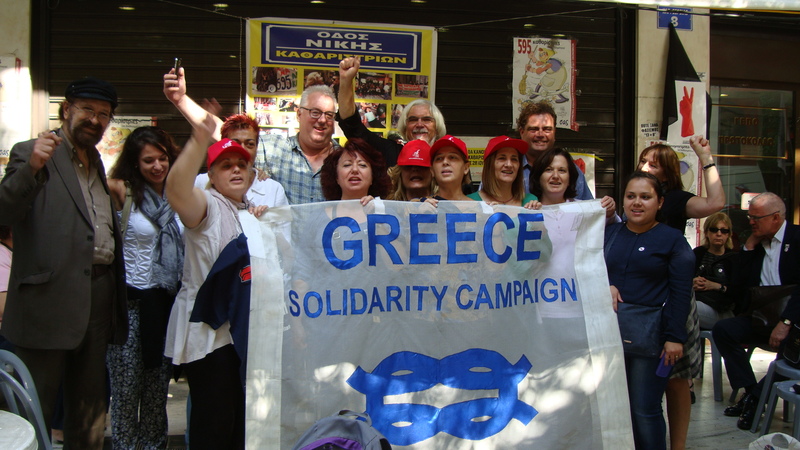 *The photo above shows the Greece Solidarity Campaign delegation October 2014- including delegates from Unite the Union Greenwich branch and London Justice for Cleaners branch, Manuel Cortes TSSA and Lucy Anderson new MEP- with the sacked women cleaners camped outside by the Greek Finance Ministry for over a year , who have become a national symbol for resistance to austerity policies imposed on Greece by the Troika ( IMF, European Central Bank and European Commission). Solidarity funds donated via GSC were presented to the women.